Rakefet Unlimited's RakefetOnline and RakefetOnline-Hybrid are developed in the same business language as Rakefet for Windows. 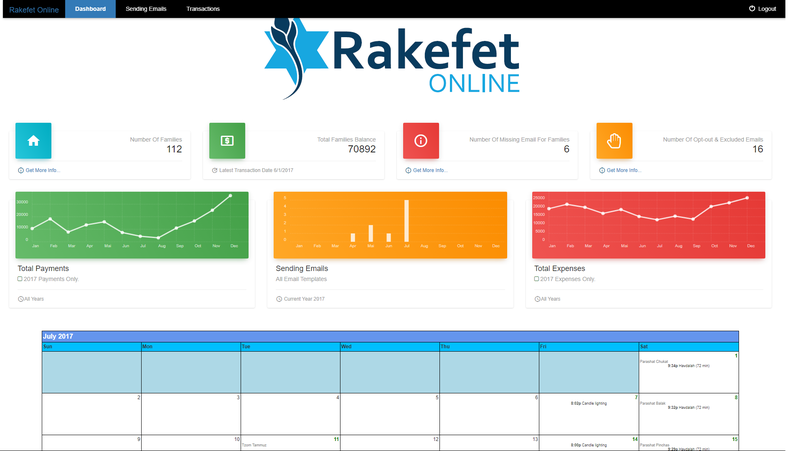 RakefetOnline is built from the ground up just for Rakefet users, containing all the features you know and love in Rakefet for Windows with the flexibility of a Cloud database system. Rakefet Online will maintain the integrity that Rakefet for Windows was always known for: easy to use and affordable. RakefetOnline will be treated as an optional upgrade for all supported Rakefet Unlimited clients. Annually will not cost much more than what you are already paying for support with Rakefet for Windows. RakefetOnline is an online service system. Rakefet Unlimited established user monthly service is $40 a month. New Rakefet Unlimited user monthly service is $90 a month for the first year, then $40 a month thereafter. -Data migration from Rakefet for Windows, no additional cost. -Data migration from mixed applications will be negotiated. Easy for members to navigate, see balances, make payments and donations, see upcoming Yahrzeits, and keep up-to-date with congregation events. Easy for members to communicate with the congregation, register for events and classes. Easy for members to view transactions history and make online payments by credit card and ACH. Based on user permissions, get a quick view of your members, balances, and more. Easy Jewish calendar access to track events. Easy to manage communication with congregation members. Member Directory with flexible filtering, searching and sorting by families or individuals. Manage Members, Donors and other communities. Easy to use, update and manage. Easy to use for quick emails and email templates. Database Detail is organized by Family/ Household or Organization/ Vendor yet manageable by Individuals, therefore an individual can belong to more than one family with multiple relationships. Easy to filter, search and sort mourners and deceased. 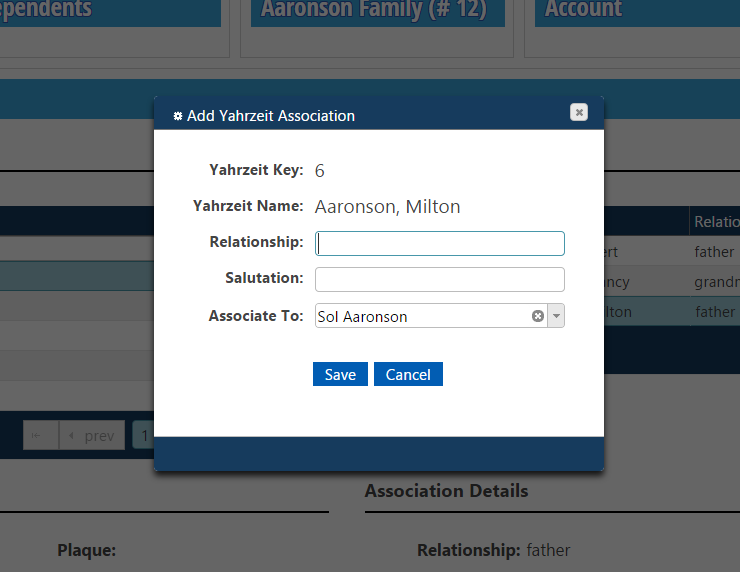 Create Yahrzeit email templates to notify families. Plaque searching by mourners and deceased. Click HERE to see a windows based Master Vendor and Employee list with Preview window. is being brought to your shul!